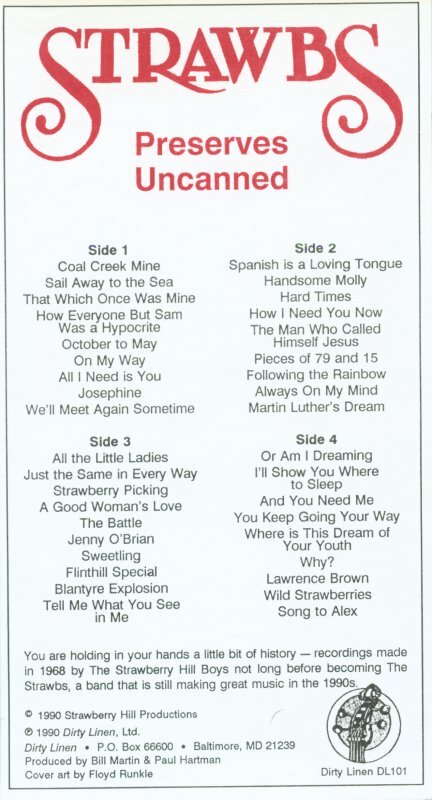 Released at first as a 2-cassette set, under the auspices of US folk mag, Dirty Linen, Road Goes On Forever picked up the CD rights to this incredibly rich selection of mid to late 60s recordings which continued to sell strongly thereafter. It was also released again on cassette by RGF. 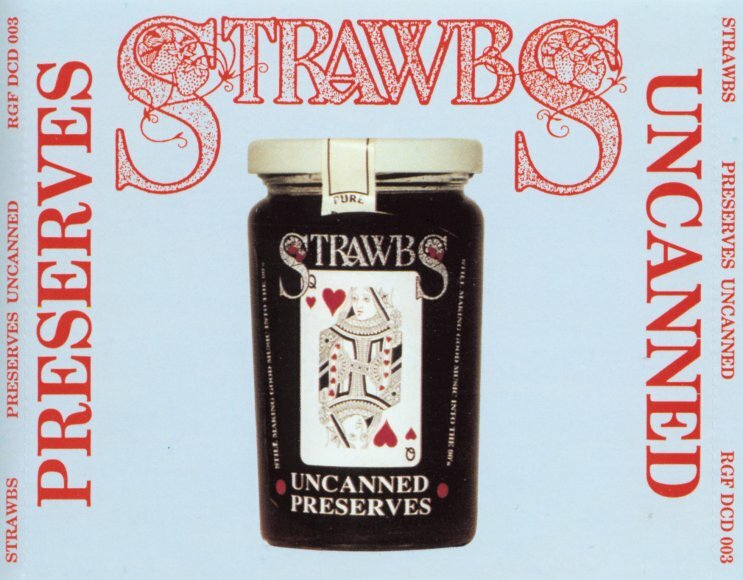 The songs include a range of demos of Strawbs classics from the Sandy Denny period and the first two A&M albums (pretty much the whole of Strawbs is represented, including a few which were rejected from the initial version, such as "Just The Same In Every Way" and are only otherwise released on the ultra-rare Strawberry Sampler). 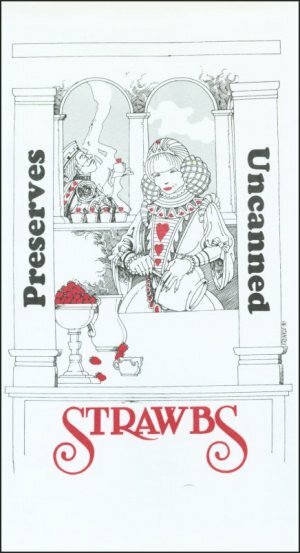 There are also some pickings from the Strawberry Hill Boys' bluegrass/traditional folk antecedents and a few unreleased Cousins originals from the "story-song" model exemplified by "Poor Jimmy Wilson". A few surprises lurk: an accompanied version of "October To May" from Two Weeks Last Summer; an early treatment of "Absent Friends" from Nomadness hiding under the title "How I Need You", and "Why" which was the b-side to the "Hero And Heroine" single and was folded into a lengthy 3-part epic "Why And Wherefore" recorded during those sessions. The ultimate hidden surprise is a track unlisted on either cassette or CD - "Bitter Sunshine". Cousins' extensive sleeve notes are a mine of useful and amusing information. The collection - deservedly - was nominated for an award. 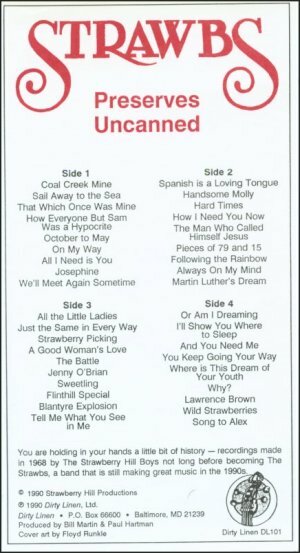 The track listing on the double cassette includes a few errors - the CD track listing is set out here. 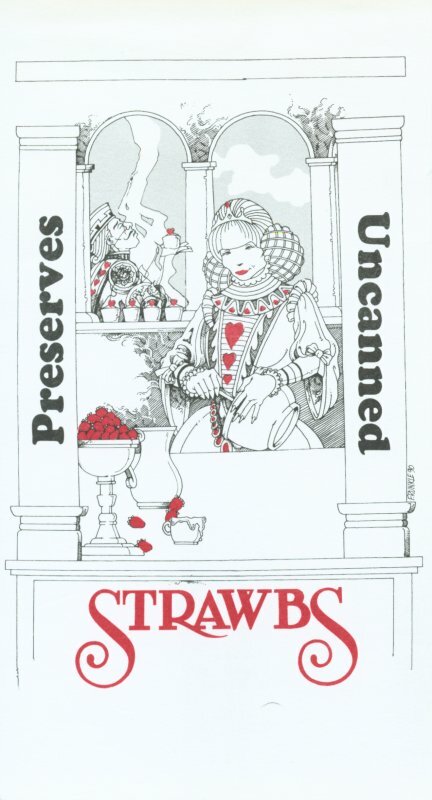 You are holding in your hands a little bit of History � Recordings made in 1968 by the Strawberry Hill Boys not so long before becoming the Strawbs, a band that is still making great music into the 1990's.